Who would have thought that the inspiration for one of Lightly's recent designs "harks back to Australia in the early 1900s and the utilitarian resourcefulness found in the lifestyle"? So says Cindy-Lee Davies, the Lightly label designer responsible for the Assemblages range of products. 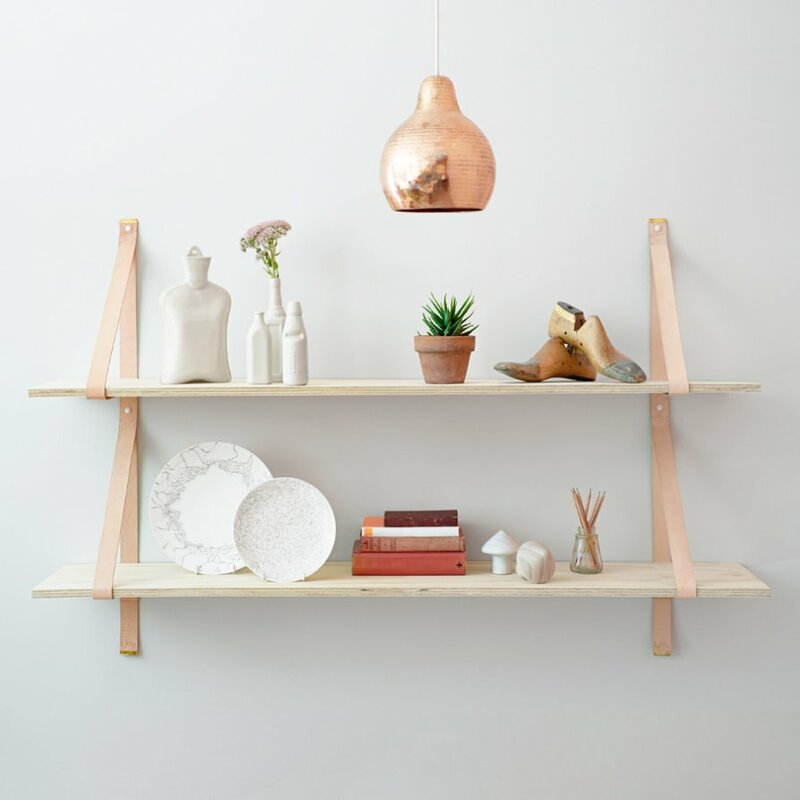 This shelf mixes the kind of elements found in an old-fashion saddlery: hence the leather girths and belt buckles. You buy a set of belts with screws and plugs, and fit your own boards or, as a separate purchase, plywood ones from Lightly. Be aware though, you will need to do a little simple DIY to put it together.